Day 16:Shopping at Kathmandu.You can extend your staying or transfer to airport for departure. Day 1KathmanduArrival in Kathmandu, reception at the airport by a representative of Pink Mountain Treks and Expedition. Transfer to Hotel in Kathmandu. Welcome drink. Day 2KathmanduAfter breakfast, City Sightseeing tour to heritage sites of Kathmandu including Pashupatinath Temple, Boudhanath Stupa, Swayambhunath or Monkey Temple and Kathmandu Durbar Square. Day 3KathmanduAfter breakfast City sightseeing tour to heritage sites of Patan and Bhaktapur including Patan Durbar square and Bhaktapur Durbar Square. Day 4NuwakotAfter breakfast , starts our driving by private vehicle to Nuwakot, an ancient Tamang people’s village Tupche to experience their cultural tradition and realize the remote village people’s life. Day 6GorkhaAfter breakfast, drive by Private vehicle about 136kms through the scenic highway on the bank of the Trishuli River early morning to Gorkha,(Brave Gurkha People’s Village) an ethnic community called Gurung’s village in Pandrung. Different experience of people’s life who live in the mountain area infront of MT Manaslu. visit one old primary school run by government and experience the Nepali children’s learning system in remote area with difficulties and limitation. stay in village people’s house, participate in cooking and realizing how people prepare their meal with wood fire. Short hiking to the village. listen local people’s experience and life from them. Day 8PokharaAfter breakfast in village,breakfast will be local pop-corn, boiled egg, local tea(if you wish you can have glass of fresh milk of cow and buffalo),will start our driving about 165km to Pokhara.Transfer to hotel in Pokhara. Day 9PokharaAfter breakfast, city tour in Pokhara such as Devi’s Fall (Natural Water Fall), Gupteshwor Cave and boating on Fewa Lake for one hour in the afternoon. Transfer to Hotel for overnight rest. Day 10PokharaWalk for one hour to World Peace Stupa across the Fewa Lake early morning for Sunrise view, walk back to Hotel, where you will see a lifetime memory of scenic mountain views including Fishtail shadowed on Fewa Lake. 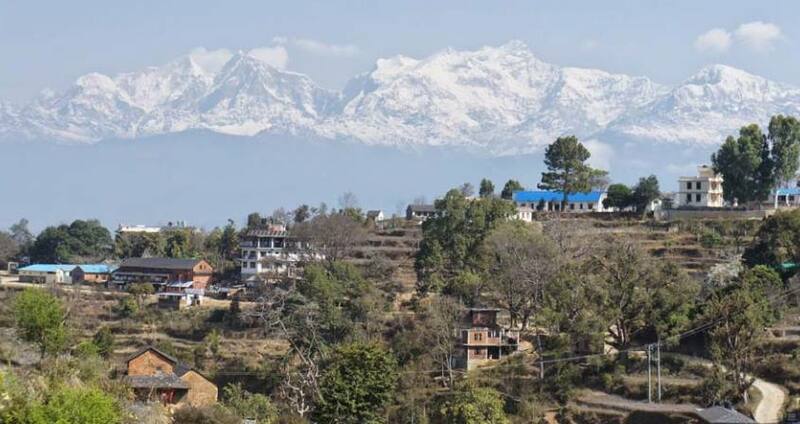 After breakfast, visit Mahendra Pul to view the underground Seti River and International Mountain Museum. Visit Buddhist Monastery in the afternoon. Transfer to Hotel for overnight rest. Day 11LumbiniAfter breakfast, drive by car for 230kms via Butwal through the scenic highway by public bus (please note that tourist buses are not available on this route) to Lumbini, Lord Buddha’s birthplace, transfer to a Hotel. Day 12Lumbini Lumbini: Lumbini-a world heritage site, is the sacred birthplace of Siddhartha Gautam, the Shakya Prince, the eventual Shakyamunu and the ultimate Buddha - the Enlightened One. It is the holiest pilgrimage site for Buddhists. The main attraction at Lumbini is the sacred Garden that is spread over 8 sq. km. and possesses all the treasures of the historic area. The Mayadevi temple is the main attraction for pilgrims and archeologists alike. To the south of the temple, we find the sacred pond - Puskarni - where Queen Mayadevi had taken a bath just before giving birth to the Buddha. There are more than fifty monasteries around the area. A visit to different monasteries from different Buddhist school gives an important memory. Some of the monasteries are: Chinese monastery, Japanese monastery, Korean monastery, Tibetan monastery, Thai monastery, Srilankan monastery, Burmese (Myanmar) monastery, Indian and Nepalese monasteries. Day 13ChitwanAfter breakfast, drive by car for 200kms through the scenic highway to Royal Chitwan National Park for Jungle Safari activities, transfer to a Resort. Day 14ChitwanFull day Jungle Safari tour. Day 15KathmanduAfter breakfast, Fly Back to Kathmandu, transfer to Hotel. Day 16Shopping at Kathmandu.You can extend your staying or transfer to airport for departure.